Here is an interesting time-lapse video showing the power outages from Hurricane Michael. 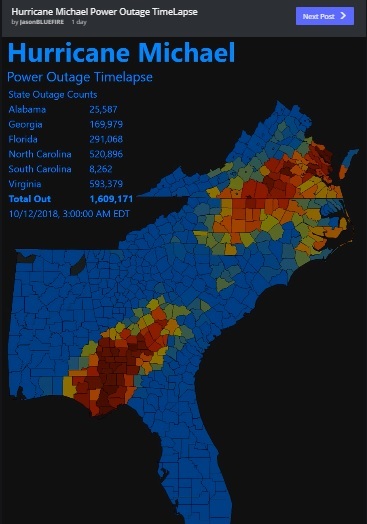 Over 3.1 million customers affected, and at one point 1.6 million people were without power. Check it out at https://imgur.com/GRV1J7w. Previous: Georgia Climate Project: How has the changing risk of extreme weather events impacted the costs of climate change?